Clearwater Blue exterior and Gray interior, SE trim. CARFAX 1-Owner, GREAT MILES 19,466! FUEL EFFICIENT 37 MPG Hwy/28 MPG City! iPod/MP3 Input, Bluetooth, CD Player, STANDARD EQUIPMENT PKG, Aluminum Wheels, Satellite Radio. CLICK NOW! Satellite Radio, iPod/MP3 Input, Bluetooth, CD Player, Aluminum Wheels. Rear Spoiler, MP3 Player, Remote Trunk Release, Keyless Entry, Steering Wheel Controls. STANDARD EQUIPMENT PKG base vehicle only. 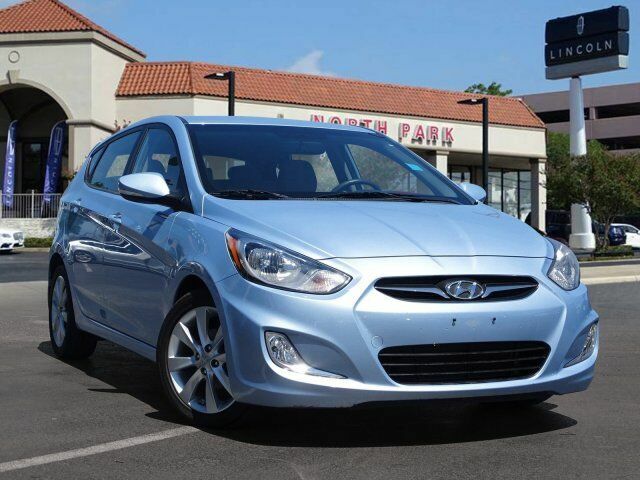 Hyundai SE with Clearwater Blue exterior and Gray interior features a 4 Cylinder Engine with 138 HP at 6300 RPM*. CarAndDriver.com`s review says Vastly improved for 2012, the Accent continues as a solid player in the little-car segment.. Great Gas Mileage: 37 MPG Hwy.